Love is an action. The Bible stresses this truth again and again. Love must not only be spoken, it must also be shown. The beginning of love is God. 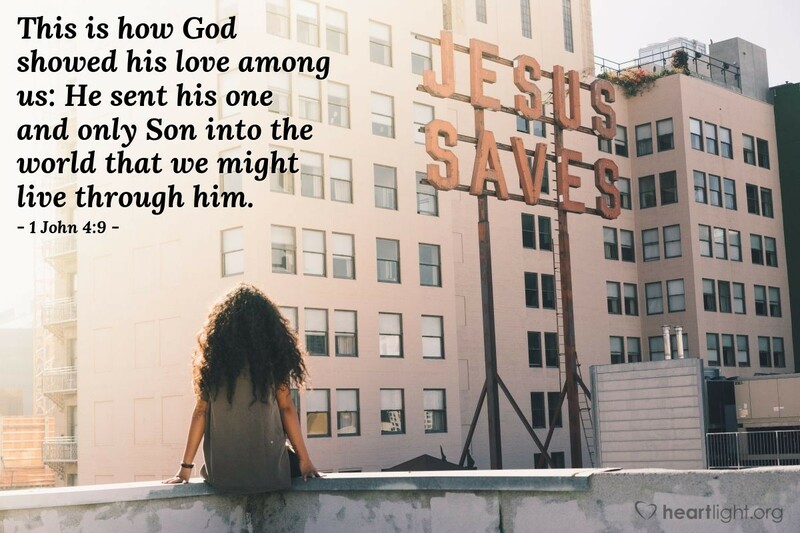 He showed his love in the most sacrificial of ways so we could know our incredible value to him. The price of our adoption was the emptying of heaven of its greatest treasure, God the Son, who is our Savior. Loving Father, thank you for adopting me into your family. I can never thank you enough nor ever repay you for your kindness, but please receive the service of my life as my ongoing thanksgiving for your grace and my small way of trying to share the love you have given me. Through my Brother and my Ransom I pray. Amen.